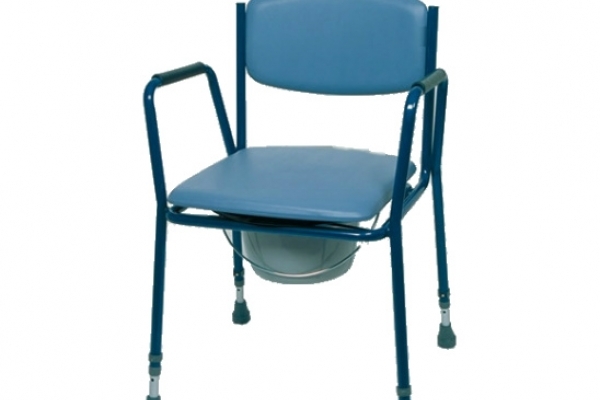 The Avon Stacking Commode is a standard commode, consisting of a powder coated dark blue frame for and deluxe padded upholstery. The legs are splayed for efficient stacking of up to 10 high, and each chair is height adjustable. Featured is a clip on seat, which makes cleaning a lot easier. The pail itself is also removable, which allows for easy disposal of waste. This simple commode features 15 cm / 6" of height adjustment for comfort. This version has fixed arms, one with detachable arms is also available.